Marine’s Death Leads to $4,000,000 Verdict Against County of San Diego. On April 22, 2010, 22-year-old Marine corporal Samantha Schultz, who had recently returned from a tour of duty in Iraq, lost her life on a quiet street in north San Diego County. As she drove through a flooded section of the road, she lost control of her vehicle, spun and struck a utility pole. A month later, Corporal Schultz’ parents retained us, and we pursued a dangerous roadway wrongful death case against the County of San Diego, which owned and controlled the road. Discovery revealed that the road had a long history of flooding, and that the County and the owner of an adjacent golf course had been arguing for five years about how to fix the problem. Unfortunately, nothing of significance had been accomplished in that time. Before trial, we reached settlements with the golf course owner and the utility that had placed the pole adjacent to the road, which totaled $300,000. The County offered just $100,000 and never increased its offer. On March 13, 2012, we began the trial against the County. Roger Booth tried the wrongful death case, with assistance from investigator Michael Soresi and law clerk Carly Sanchez. 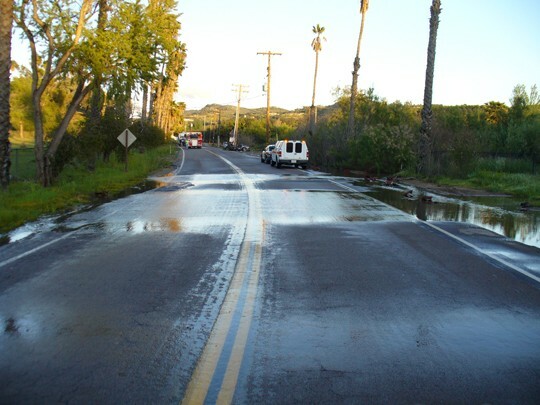 At trial, the County argued that Corporal Schultz was driving too fast for the conditions (about 60 mph in a 50 mph zone), that the amount of water on the road (about 1/4″ deep) was not enough to cause hydroplaning and that the crash was caused by inattention. The County also argued that their road crew had placed “Flooded” signs on the road on the day of the crash, which Corporal Schultz failed to heed, but the presence of those signs was disputed by eyewitnesses. Finally, the County argued that its conduct was reasonable in light of the large cost involved in solving the flooding problem and the limited budget at its disposal for fixing roads throughout the County. After nine days of trial and two days of deliberations, the jury returned a verdict in the wrongful death lawsuit on March 29 in the amount $4,000,000. The jury found 80% fault against the County (and 10% each against the decedent and the golf course owner), for a net verdict of $3,200,000 (32 times the County’s one and only offer!). This amount consisted of purely non-economic damages for loss of love, companionship, comfort, care, assistance, protection, affection, society and moral support. 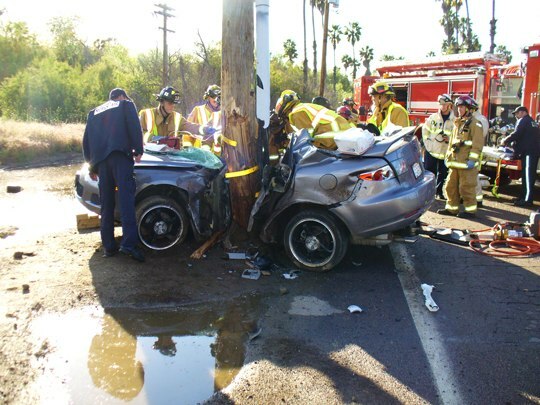 In the trial discussed above, we used two experts: (1) a traffic engineer who testified as to why the road was dangerous and what could have been done to fix it and (2) an accident reconstructionist who testified about the decedent’s speed and the mechanism of the crash. The County, in contrast, had five experts. In addition to a traffic engineer and an accident reconstructionist, they used a separate hydroplaning expert, an hydrologist and a psychiatrist. The result at trial validates our belief that, while experts can be an important building block of a case, the use of each and expert needs to be carefully considered. The reflexive use of experts in every imaginable subject area is a mistake. Jurors understand very quickly that experts are paid money to give opinions. They therefore automatically discount what they have to say on direct examination. In contrast, if opposing counsel can extract an admission from the expert on cross that helps the cross- examiner’s case, that takes on extra significance because the jury intuitively understands that the expert had been paid to say just the opposite. As a result, your own expert can end up becoming a much more powerful witness for the other side than for your side. It is rare for jurors, when interviewed after trial, to say that the testimony of experts was the key factor in reaching their verdict. Often, the experts cancel each other out, and the jurors are more likely to talk about the lay witnesses. When experts do get mentioned, it is often because jurors thought that a particular expert was dishonest, said something offensive or got paid an obscene amount of money. Jurors will hold these things against not only the expert, but the party who decided to put that expert on the witness stand. A couple of relevant examples from our case. The County put on a psychiatrist (who makes 100% of his income from acting as an expert) to testify that the decedent’s driving ability was compromised because she was going through the emotional turmoil of a breakup from her boyfriend and because she had undergone a minor medical procedure to treat cervical cancer on the same day as the crash. Each and every juror knew something about relationship problems, and we knew from voir dire that two of the jurors had had the very same medical procedure. The jury ended up placing little or no stock in the psychiatrist’s testimony, probably because it didn’t jibe with their own personal experience. Another expert whom was mentioned in post-trial discussions with jurors was the defense accident reconstructionist, who willfully ignored the testimony of one of the eyewitnesses. This eyewitness was an Hispanic gentleman, and the expert, in addition to ignoring what he had to say, completely butchered the pronunciation of his (very common) name. This did not play well with at least one of the Hispanic jurors. The moral of the story. Be careful about the experts whom you hire and, before putting an expert on at trial, make sure that his or her testimony is going to advance the ball down the field for you, not cause you to lose yardage. Wrongful death trials are never won based on who has the most experts on their side.